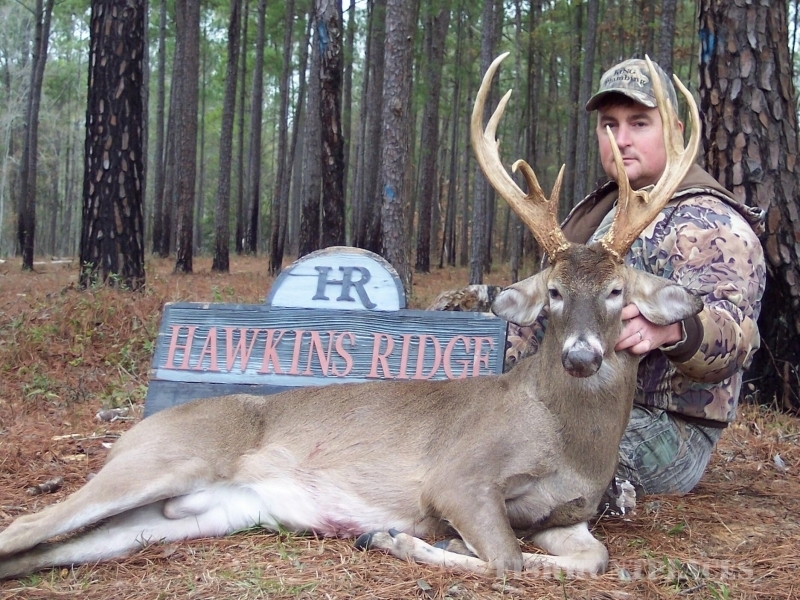 Hawkins Ridge Lodge is located in Eufaula, Alabama on 6000 acres in the black belt region of the south. 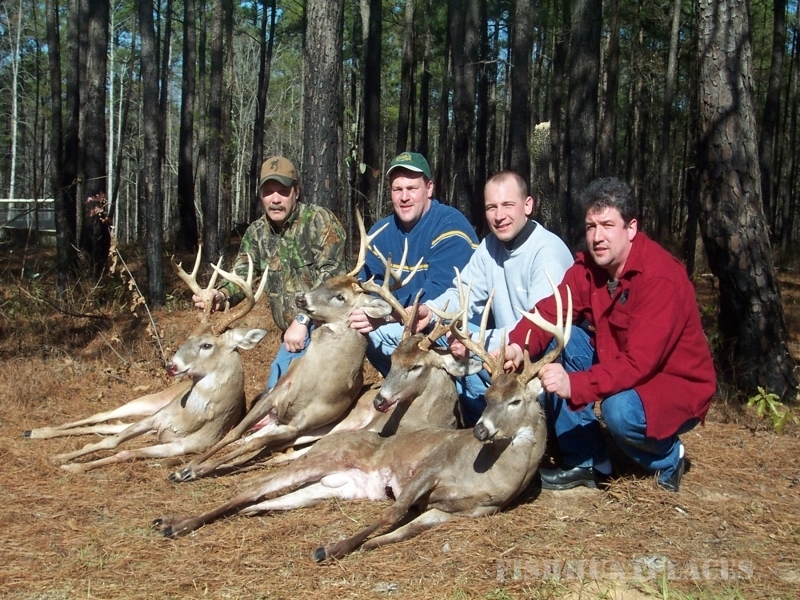 This area is noted for producing some of the largest whitetail bucks in Alabama. 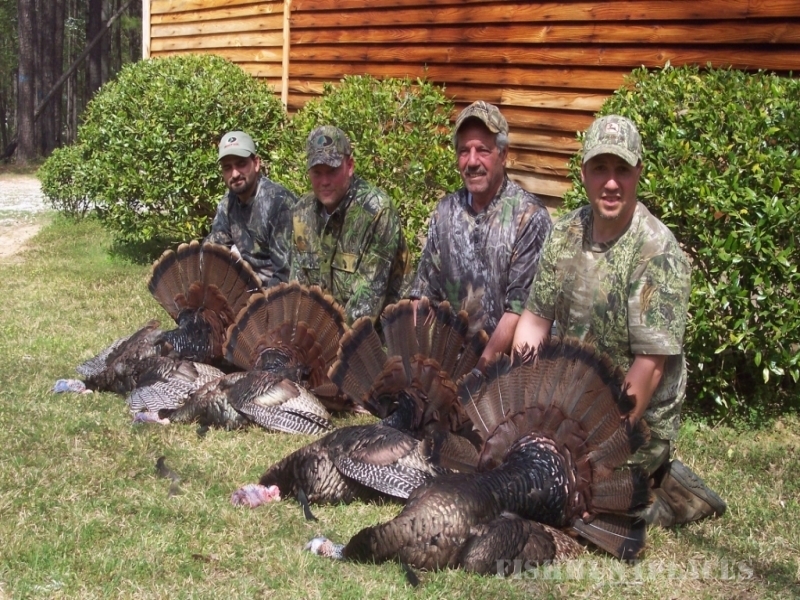 The area we hunt has a variety of different types of terrain. 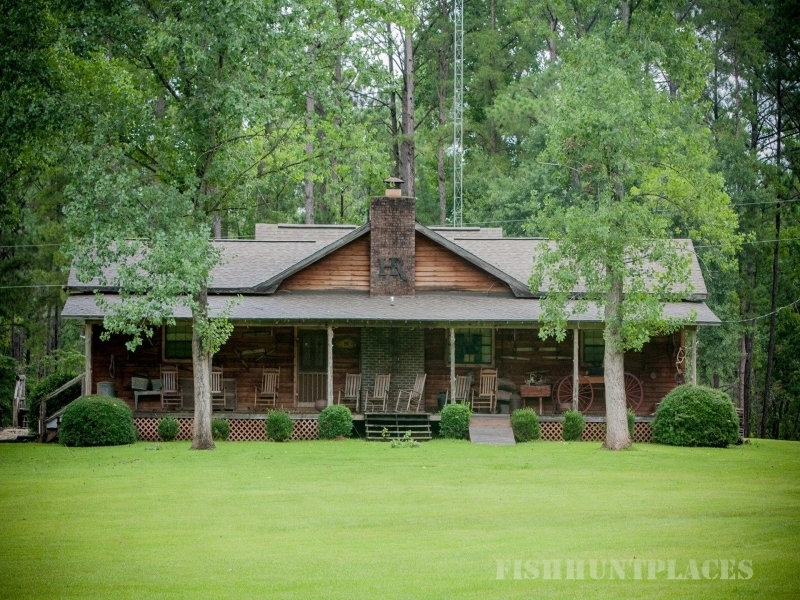 You will have the opportunity to hunt hardwoods, clear cuts, planted pines, power lines and food plots. 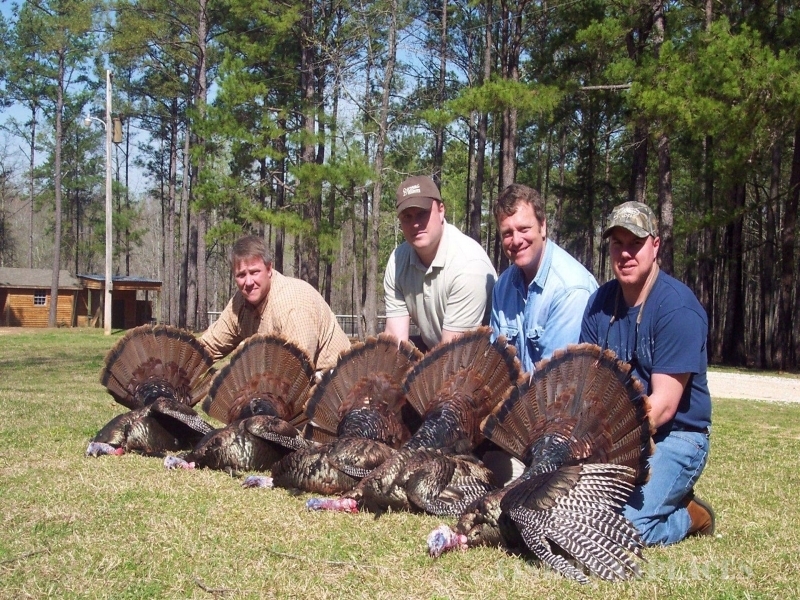 Our goal is to provide you with a quality hunting experience that you will not forget. We only take a limited amount of hunters to limit the hunting pressure. 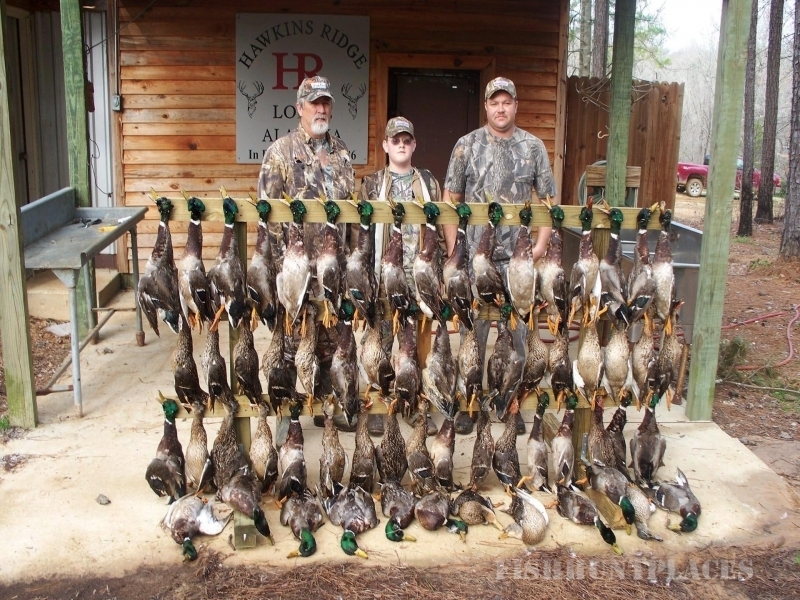 Whether you are hunting Whitetail Deer, Eastern Wild Turkey, Mallard Ducks or Wild Hogs we will do everything possible to make your hunt is successful and enjoyable. 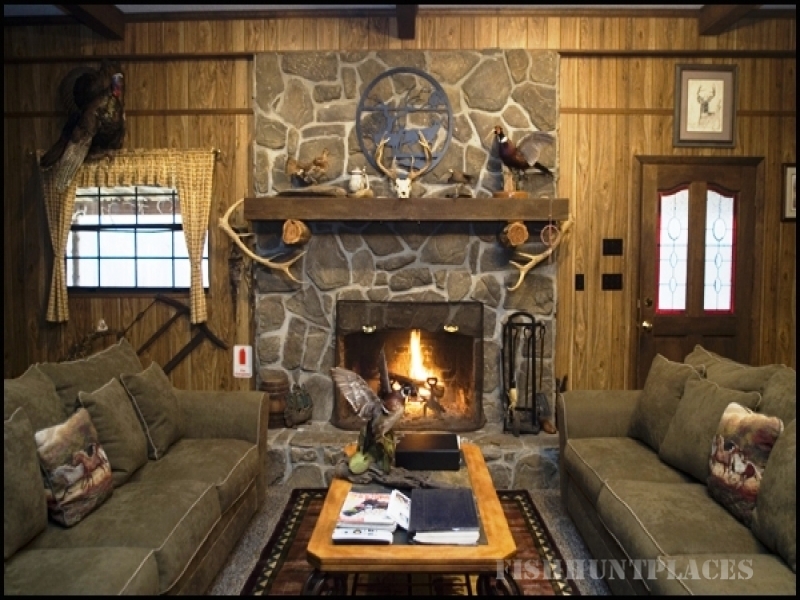 After the hunt you will be able to relax at our large comfortable lodge. You can enjoy the large den with a huge fireplace and sectional sofas or rock on the front porch or decks. We provide semi private bedrooms and private bathrooms. We offer three hot buffet meals a day, snacks and bottled water are also furnished to take to the field on your hunting trip. Everything is furnished except your personal gear and hunting licenses. 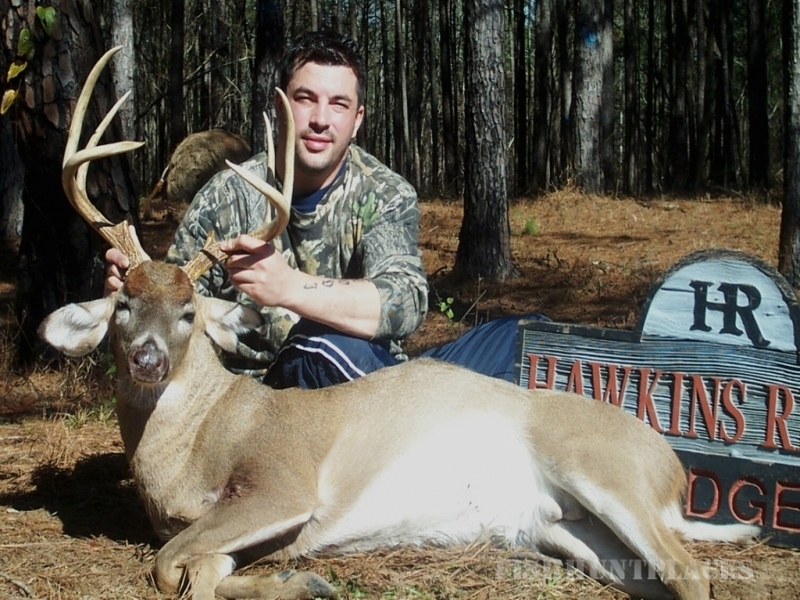 For a hunt of a lifetime contact Hawkins Ridge Lodge.